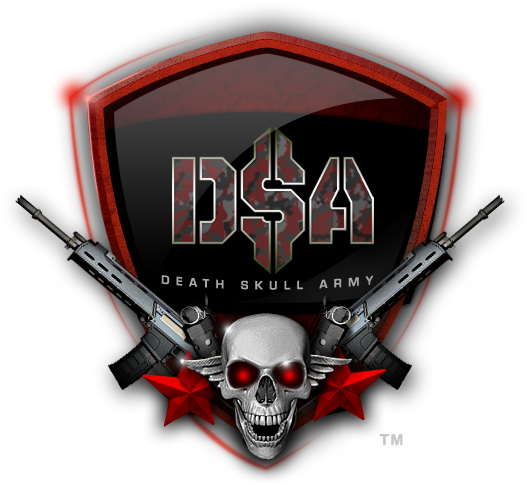 The Death Skull Army is an elite group of players from all over the world with a "Hard Way Or No Way" approach to gaming. Our talent spreads across mainly the first person shooter genre with most playing Battlefield 1, Call of Duty Infinite Warfare, Ghost Recon Wildlands and Destiny at the moment. When we are not getting down to business on the battlefield we are chilling out here in the forums. You can register your free account by clicking the Forum tab above.  We are always looking for new members so if you are up for joining our ranks to fight by our side you are at the right place. [D$A] will always have your back.